Plan to join us at the Port of Everett waterfront as the EFM celebrates 20 years of locally grown, healthy and nutritious produce, processed and ready-to-eat foods, and the arts and crafts of homegrown Artisans, all representing Everett and surrounding communities throughout the State of Washington. 2013 Applications have been updated, and are now posted as downloadable, printable documents on the EFM website. Returning Vendors; we are accepting your application and registration forms NOW. New Vendors applications will be accepted beginning March 15th. Please read carefully the Updated 2013 Vendor Rules and Policies.The EFM Rules and Guidelines offer important updates as well. Please read thoroughly. Vendor applications are now distinct for: Growers, Processors, Artisans, and Concessionaires. Please select the application pertinent to your trade. Please let us know via email about your business, and the type of product you would like to sell at the Market. 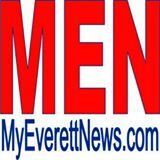 Once approved by the Market Management, you will be asked to follow through with Vendor Registration, payments and any licensing to become a Vendor at the Everett Farmers Market.